Mounts to site built wood curb (with any height and a maximum 1> width) through pre-drilled holes in the aluminum base frame. Fits INSIDE curb dimensions of 30.5" x 30.5". Features double glazed clear acrylic allowing the maximum amount of visible light. 3 ft. x 3 ft. Roof Access Double Glazed Clear Acrylic Dome Skylight - ENERGY STAR® The ideal solution to gain outdoor access to a rooftop for outdoor living spaces or services. Columbia's acrylic dome roof access skylight can be installed on a flat or sloped roof curb application. Includes: pull bar, locking latch and hydraulic gas cylinders that support the skylight when in the open position. 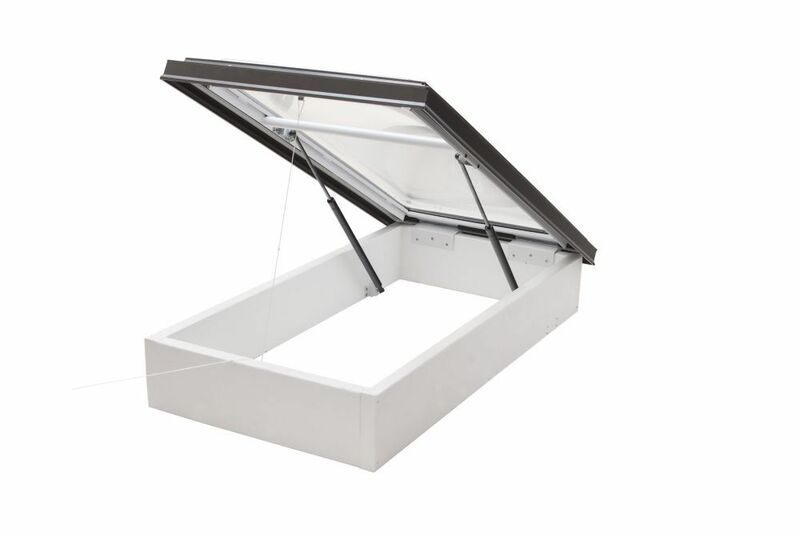 Acrylic dome roof access skylights are suitable for flat and sloped applications.